It was with much sadness that we learnt of the passing on of our beloved Bishop Andrew Kumarage, the Bishop Emeritus of the Diocese of Kurunagala, in the early hours of April 21, 2012. He was ailing for some time, but briefly and was a wonderful relief for some of us to know that he has ended his life on earth and being relieved from all pains, agony and suffering of this world. Andrew Oliver Kumarage was born on January 16, 1934 as the eldest child of a family of five. 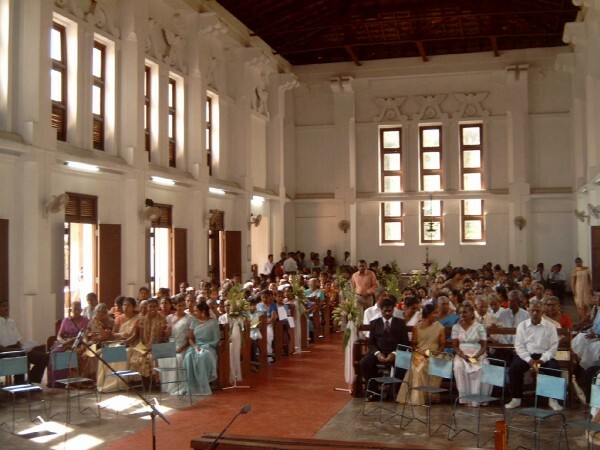 The parents were devoted members of the Church of Ceylon and worked as lay ministers of the church. The father, Stephen Kumarage was a trained teacher and the mother, Mary Kumarage was a trained nurse. They both gave up their government employment to become a Catechist and a Bible Teacher respectively, on the invitation of the founder Bishop of the Diocese of Kurunagala. Young Andrew had the best of religious environment on growing up as a child and as a young person. His first bible school was the home and was nurtured in a beautiful Christian environment with family devotions, study of the scriptures, love and care of the parents and of course the perfect example of the lives of the parents and his teachers. It was remarkable to know that the young Kumarage showed early signs of his commitment to the Gospel and the ministry of the Church. His early primary education was in the Church of Ceylon schools in Talampitiya and Meetanwala. 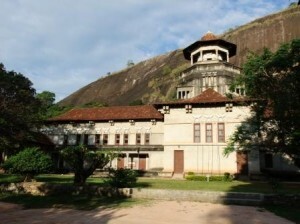 Later, St Anne’s College, Kurunegala became his formational ground throughout his primary and high school education. The La Salian Brothers had a great influence in his life and later turned out to be one of the eminent products of the college. There he excelled in his academic performance and was specially concentrating in all religious activities. It was my privilege on many an occasion, to hear of his boast about the school, the Christian Brothers and his teachers, for whom he was ever grateful. As he was gradually completing his education in school, there was some one who was waiting to grab him, to prepare him for more things to come. It was Bishop Lakdasa de Mel, the founder Bishop of the Diocese of Kurunagala who identified him as a prospective leader for the Church. Andrew became one of the early candidates for ordination and was destined to receive the best of Theological Education. He began his Theological Formation at Bishop’s College, Calcutta in India, which was by that time one of the most reputed and distinguished theological institutions in the Asian context and that of the world. His principal at Bishop’s College once commented, “Oliver Kumarage continues to obtain excellent reports.” He had a very useful and fruitful training and formation and excelled as one of the brightest students of the College. He was popular in Bishop’s College and his contemporaries remembered him as one of the most devoted and a committed students who gave of his best in the preparatory process for the ordained ministry back in Sri Lanka. He completed four years of theological studies and received the degree of Bachelor of Divinity. Young Andrew returned to Kurunegala in 1958 and later was made a Deacon the same year on May 1. 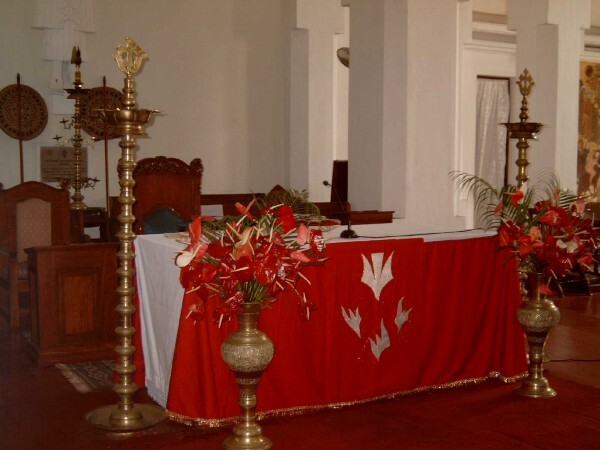 He served in Kurunegala as a Deacon and continued to have the best of training and formation at St Paul’s House, under Bishop Lakdasa de Mel. He was later ordained to the Priesthood in the Diocese of Kurunagala of the Church of Ceylon on May 23, 1959. ‘Fr Andrew’ was the way people addressed him with much affection and was really a father to many of the persons who crossed his path. His ministerial responsibilities took him to all corners of the Diocese and was privileged to serve all sectors of the Diocese, of ethnic, rural or urban and of all church traditions. Andrew Kumarage until his passing on, was the last surviving member of the first Faculty of the Theological College of Lanka. His favourite area of specialty was Old Testament Studies, even though he was called to teach other disciplines like Pastoral Theology etc. His wisdom was visible very much in the lecture room and overflowed freely to his relationships with all sectors of the Theological Community at Pilimatalawa. There was no doubt that he was a friend, father, teacher and a senior colleague to many of the students who passed through his hands. He continued to remain a caring and a supportive colleague for the faculty at that time. Bishop Andrew Kumarage was basically a teacher and was deeply committed to education at all levels. He was Chairperson of the Board of Governors of Trinity College, Kandy and served on the Governing Body of the CMS Schools. Many of us have had the privilege of being his students and are greatly indebted to him for all what we have been able to do, following his footsteps. It was later during the episcopate of Bishop Lakshman Wickremesinghe that Fr Andrew was chosen to be trained at the Westhill College of Education in Selly Oak, Birmingham, England and completed his Diploma in Religious Education. He held the responsibility for Religious Education in the Diocese for many years. Fr Andrew, a senior priest at that time was called to be the Bishop of the Diocese of Kurunagala in 1984 and continued until his retirement in 2000. He was aware that it was a daunting task to follow in the line of pioneering Bishops like Lakdasa de Mel and Lakshman Wickremesinghe, but in his own humility he resolved to be himself. He was not unnecessarily overwhelmed by this calling but continued with the beauty of simplicity. The results were most unexpected but turned out to be one of the most firm, unshaken and a determined leader, full of love, concern and care for those who have been committed to his care by God, for which we are ever grateful. He had a gift and a talent to bring people together. People of all sectors trusted him for his sincerity, honesty, integrity and truthfulness. I do not think that he ever knew to tell a lie, even though telling lies has become almost a way of life for many leaders today. That was his strength and why people gathered in huge numbers to pay their respects and their gratitude, at his passing on. Power of humility was clearly depicted in the life of this great saint who lived a life of sacrifice. He was willing to share everything he had with any person who was in need. This quality of humility is the secret of his desire to reject power. In spite of all the power he wielded as a leader, Andrew remained an agent of the powerless, identifying himself with them. His desire was not to be a pioneering personality but to share life with those who needed his company. His deep sense of humour created the environment for his ability to rebuild and nurture relationships. It was a God given talent that he mastered later to be a great listener. He had the ability to hear the inner rumblings of a person with the great capacity that he possessed to listen to stories for long periods of time, without disturbing the trend of thought of the person who was pouring out in his presence. In a wonderful way he had time for people. In his retirement Bishop Andrew continued to serve the church and God’s people. He wrote and published a little book on the Disciples of Jesus and later compiled a Personal Book of Prayers for Clergy. Where ever he lived people came to him to get a prayer offered by him for some personal need or any other purpose. He continued to give leadership in many ways. His desire was to gradually fade away but people and organisations needed his leadership and I remember the time he very reluctantly accepted the invitation to be the Chair of the Board of Management of the Ecumenical Institute for Study and dialogue. Interfaith Dialogue and Corporation was very dear to his heart and remained a member of the EISD Board until his death, even though he relinquished his duties as the Chair a few years ago due to failing health. We are confident that he has new life in the nearer presence of God and may his soul rest in peace and rise in glory.